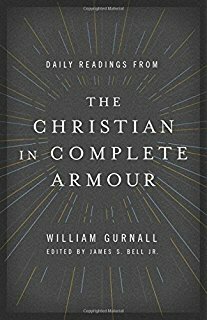 When I saw both John Newton and Charles Spurgeon put William Gurnall on their “must read” lists (I’ll share their quotes in a moment), I thought, “I have to get this book!” Although The Christian In Complete Armour was written by Gurnall over 360 years ago, the words ring just as true for Christians today. So piece by piece, step by step, William Gurnall explains the value of each of the Christian’s armaments. 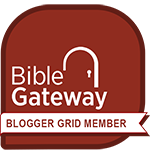 He tells us what we can expect when we employ them as God intended, and what we should fear if we fail to make use of each and every piece of equipment God has made available for His soldiers. Although a very old text, James S. Bell, Jr. has done a marvelous work in preserving Gurnall’s message, but presenting it to us in modern-day English. This is an excellent work for every Christian soldier to have on their shelf.